There are two ways to travel to the Turkish Republic of Northern Cyprus either by air or by sea. You will find everything you need to know about how to reach North Cyprus below. Going by air is the easiest way to travel to Northern Cyprus going to Ercan International Airport via Turkey or by flying to the Southern part of Cyprus to Larnica International Airport. Northern Cyprus is not recognized as an independent state therefore all planes flying to North Cyprus must stop in Turkey first before continuing on to Ercan International Airport. 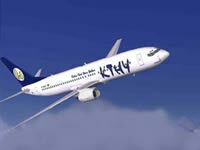 There are flights available to North Cyprus from all over Europe and there are two main airlines that provide these. You can get travel to North Cyprus via ferryboat from Turkey and vice versa. Ferryboats travel from Girne (kyrenia) and Gazi Magusa (Famagusta) to Mersin, Alanya, and Tasucu which are ports on Turkey’s south coast. There are three routes in which sea buses and car ferries operate together: Girne-Alanya, Girne-Tasucu and Gazimagusa-Mersin. The passenger ferries run much faster than the car ferries and the fast ferry journey takes approximately 2 hours. There are services from Turkish Mersin to Gazimagusa Famagusta in North Cyprus with scheduled ferries three times a week. Sea bus and car ferries from Turkish Tasucu to Girne (Kyrenia) in North Cyprus operate daily taking approx two hours for fast ferries and four to five hours for slower car ferries. During the summer months you will also find that there are scheduled services to Girne Kyrenia from the Turkish ports of Alanya, Antalya and Anamur. When you travel to North Cyprus you are allowed duty free allowances of up to 400 cigarettes, 500 grams of tobacco, or 50 cigars. 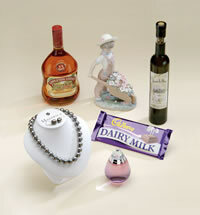 You can also take up to 1 litre of wine or spirits and up to 100cl of perfume. NB: The exporting of antiques or archaeological materials is strictly forbidden. In order to travel to North Cyprus you will need to have a valid passport. A visa is also required but this will be provided when you enter North Cyprus. All passports must confirm dates of arrival and departure on entry to and exit from North Cyprus in order to be accepted.